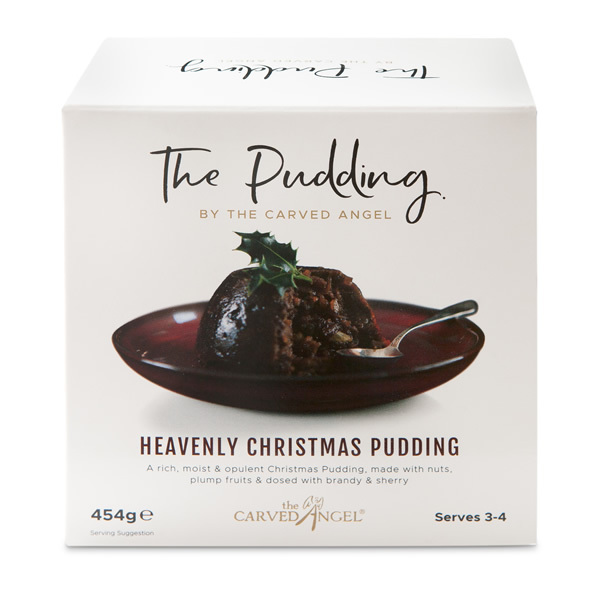 We can almost hear our regular customers gasping….The Carved Angel produces a Christmas Pudding with NUTS! Yes its true! We have been listening and many customers have been asking for the crunchy factor! 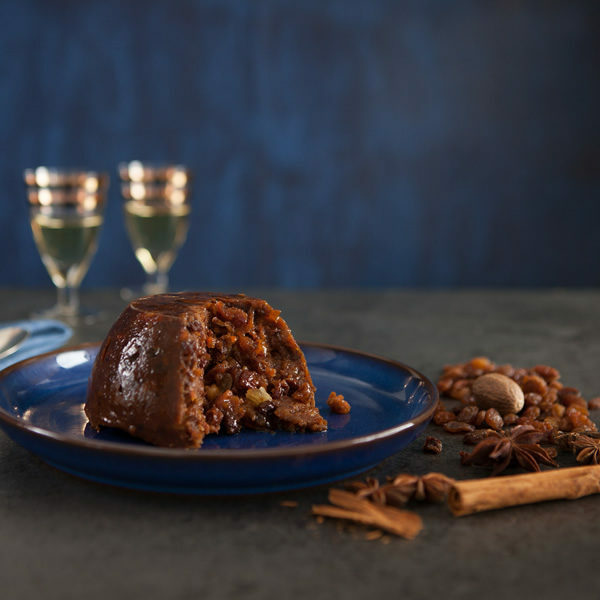 so we have obliged but not until we were sure we could deliver a truly gorgeous Christmas Pudding! 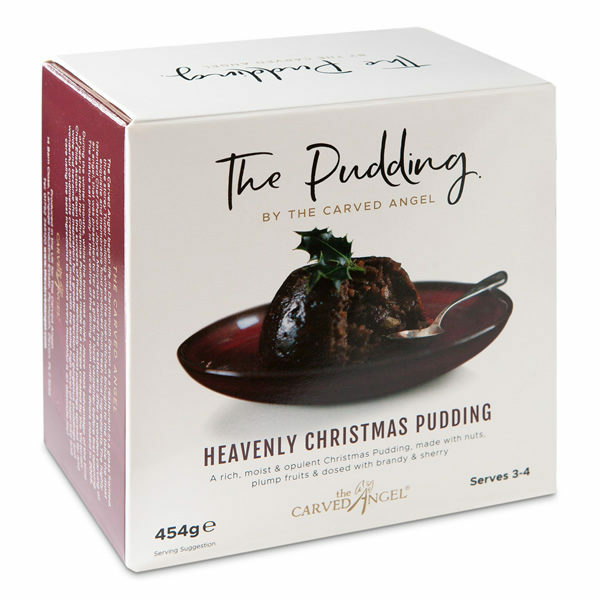 This rich and sumptuous Christmas Pudding is packed full with luxurious, quality ingredients. 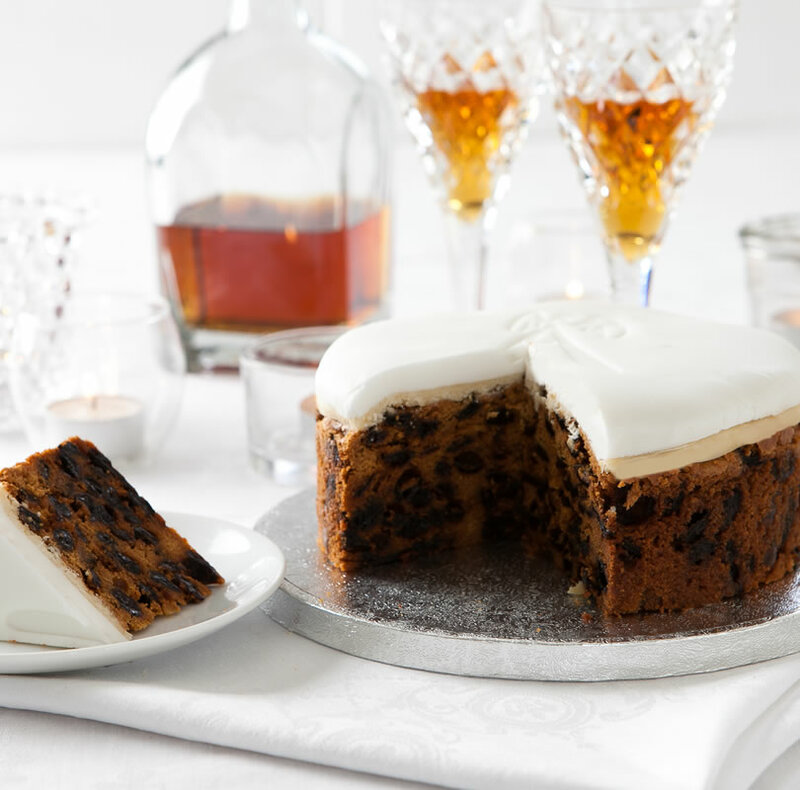 The sultanas and raisins are plump and juicy having spent the night soaking in brandy before being combined with sweet carrot, apple, cherries and tender dates. 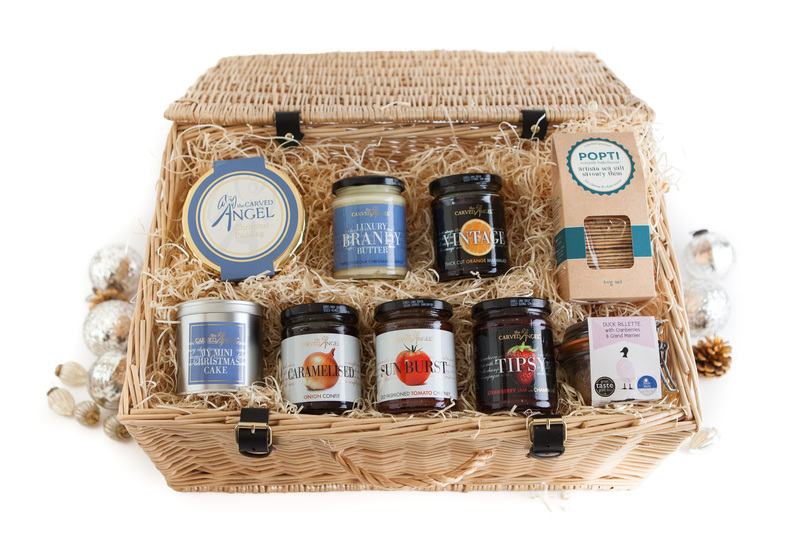 Added to the mix is silky, golden syrup, crunchy almonds and walnuts along with sensational mixed spices. Finally a generous boozy dose of exquisite Brandy & Sherry. 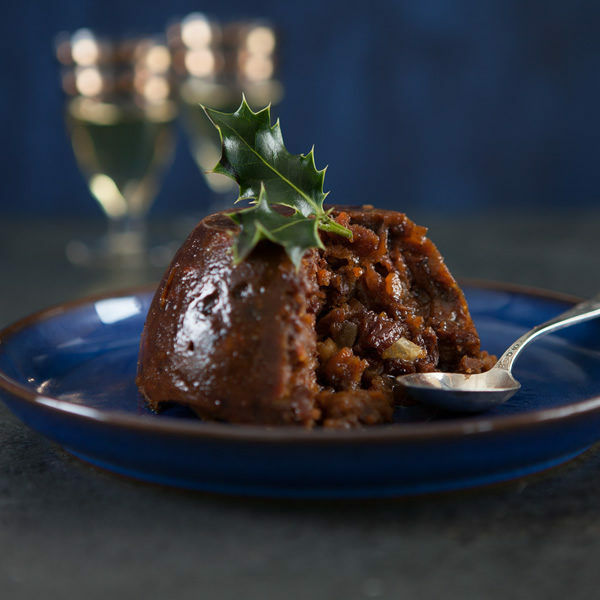 Light and moist in texture, this opulent Pudding carries all the nostalgia of Christmas past and present and one that you will enjoy every morsel! Vine Fruits (28%) (Raisins, Sultanas, Sunflower Oil), Free Range Whole Egg, Carrot, Soft Dark Brown Sugar, Candied Mixed Peel (6%) (Orange Peel, Lemon Peel, Glucose-Fructose Syrup, Salt, Citric Acid), Wheat Flour*(Gluten), Apple (5%), Vegetable Suet (Palm Oil, Sunflower Oil, Wheat Flour*(Gluten)), Water, Dates (3%) (Dates, Rice Flour), Brandy (2.5%), Sherry (2.5%) (Sulphites), Glace Cherries (2.5%) (Cherries, Glucose-Fructose Syrup, Sugar, Fruit Juice Concentrate, Citric Acid, Preservative: Sulphur Dioxide), Stem Ginger (2%) (Ginger, Sugar), Wheat Flour Crumb (Wheat Flour*(Gluten), Salt), Almonds (1%), Walnuts (1%), Golden Syrup, Mixed Spice, Preservative: Potassium Sorbate. *Wheat Flour contains: Calcium, Iron, Niacin, Thiamin See Allergens in BOLD in ingredient listing. Contains wheat, eggs, sulphur dioxide, gluten and nuts. May also contain mustard, fragments of fruit stones and small stones. GM Free, Lactose Free. Do not remove or pierce film lid. Place in a steamer or pan filled with two thirds boiling water and steam for 50 minutes. Do not allow the pan to boil dry. Ensure pudding is hot then leave to stand for 1 minute. Remove film lid and silicon disc. Turn pudding upside down on to a plate, gently squeeze the sides to remove from basin. To Microwave: Microwave ovens vary and the following is a guide only. Remove pudding from carton. Do not remove or pierce film lid. Heat for 2 minutes and 30 seconds in a microwave (800 watt) on full power. Ensure pudding is hot then leave to stand for 1 minute. Remove film lid and silicon disc. 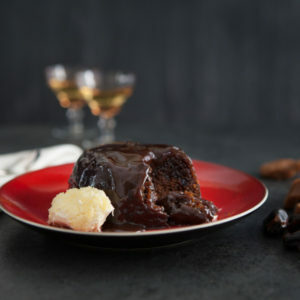 Turn pudding upside down on to a plate, gently squeeze the sides to remove from basin.